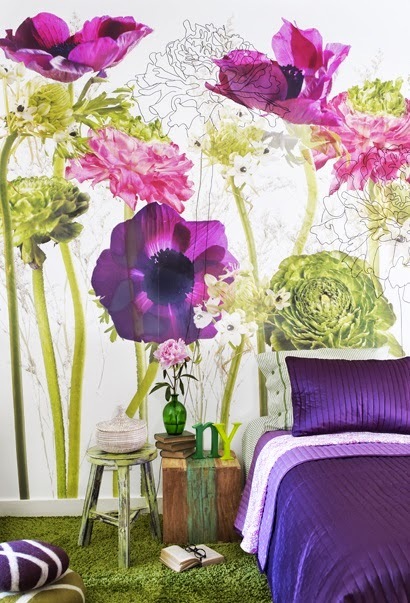 This entry was posted in Furniture and Design and tagged apartments, decor, decorating, fleur, floral print, floral print decor, floral print furniture, floral prints, flower decor, flowers, furniture, illustrated wallpaper, interior design, interiors, living spaces, spring, wallpaper. Bookmark the permalink. 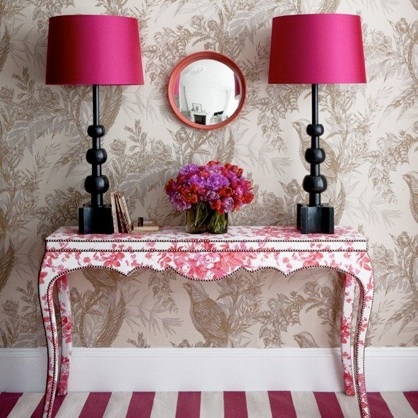 I totally agree, a key piece in a strong colour/pattern or even texture can be transformative for a space. 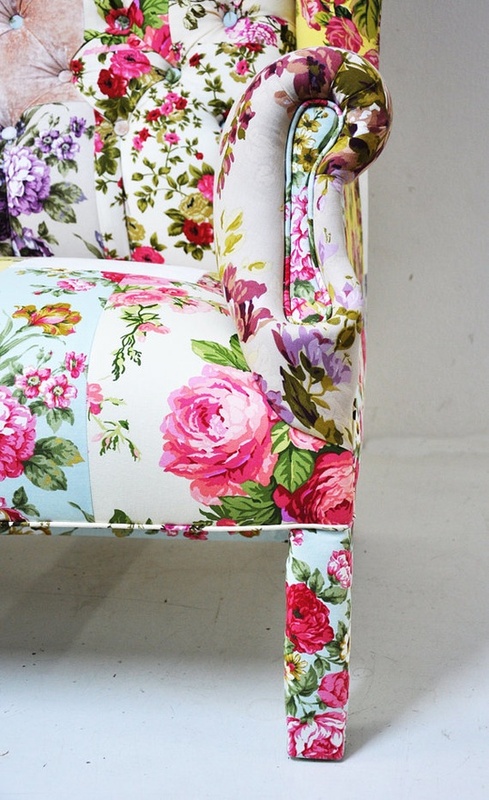 I love the floral console above and isn’t purple such a fabulous colour. Absolutely love purple and green together! Thank you for your wonderful comments!